A true 5 star plumbing service for Plymouth and the surrounding areas. Trading Standards accredited, our plumbers are qualified, professional and insured. We provide a full bathroom design and installation service to our clients as well as a premium drainage and general plumbing call out facility. 99.4% of our customers rate us 5 stars out of 5. Get in touch if you would like to use Plymouth's premier plumbing company. When my shower began leaking I tried, unsuccessfully, for three days to contact Bristan, the manufacturer. None of the 5 local plumbers I rang had the courtesy to even return my calls. When I contacted the Plumbing Doctor the response was immediate, a price was given and an appointment confirmed. Impressive. Although a problem was encountered on the first visit, a second plumber came the next day, a Saturday. This plumber drove through flooded roads to reach me to complete the work. Commendable. 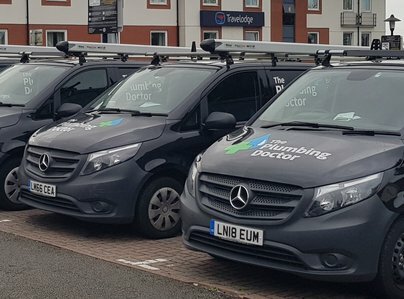 I would have no hesitation whatsoever in recommending the Plumbing Doctor as, in my opinion, their customer service is second to none. After having problems getting any response from the manufacturer of my leaking shower, or to get local plumbers to even have the courtesy to return my calls, it was a delight to get an immediate response, to receive a quote and a date agreed to carry out the work. The customer service offered by this company is excellent. I would have no hesitation in recommending them. Came next day. Arrived on time. Have me the options. Completed the job quickly and professionally. Would definitely use again. Prompt service and very friendly and polite. Would recommend to friends and family. Very pleased with service given. Arrived within the hour. Problem fixed quickly & efficiently. Would definitely use again. A difficult job which was dealt with extremely efficiently and good humour. Excellent value for money.